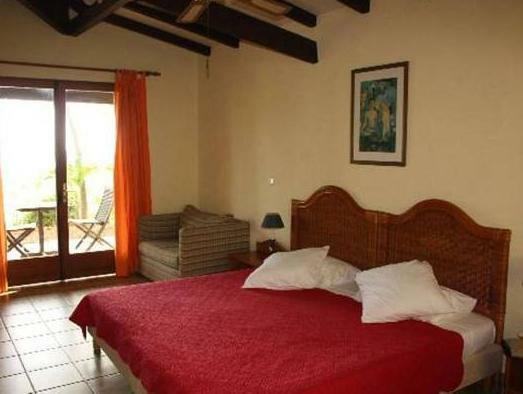 ﻿ Best Price on Le Rayon Vert in Deshaies + Reviews! Amid a natural garden on the island of Guadaloupe, Le Rayon Vert Hotel offers its guests terraces to soak in the sun, a hot tub and an outdoor pool. The rustic-style decorated rooms have flat-screen cable TVs, mini-bars and a private terrace with views towards the Caribbean Sea. The bathroom has a hairdryer and free toiletries. The on-site restaurant serves plus vegetables and fresh fruit. The breakfast is complimentary with the room rate. Le Rayon Vert has facilities specially upgraded for the disabled easy access, a library and designated smoking area. Massage services are also available on-site. Wi-Fi connection is free of charge in public areas of the hotel. Guadaloupe International Airport is 28 mi from the hotel, and Deshaies is 3.1 mi away.